Since we announced the release of BBN SMS Messenger for mobile, the question that’s probably nagged at the back of some minds is what makes it so special and what can be done with this minuscule version? Well to start with, the mobile version’s got speed and loads faster on your phone than the desktop version would. It also fits the width of your screen perfectly so there’s no need to zoom in to view an item on the page. Besides you can use it anywhere even while in the banking hall or while on the road. Moving on from the advantages let’s talk about the features and the possibilities that are available to you as a user of the mobile version. Using the mobile version you can send SMS (both free and prepaid) to all your desired contacts on your phone. You can also create groups, add bulk/single contacts, edit/delete contacts and groups right from your mobile phone. Moreover, when you’ve made payments to the bank for recharging your BBN account, you can load the teller and get your SMS credits added to your account using BBN SMS Messenger for mobile. And finally for those who do not already have a BBN account, you can sign up and enjoy these benefits and more right from your mobile. 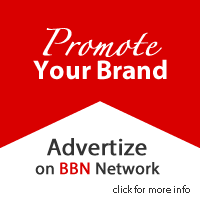 Simply visit http://bbnsms.com on your mobile to get started. The mobile version is a really great idea. However, the fact that you cannot send SMS to foreign numbers is a real draw back for the entire platform. Please look into it. To the managing board, i want to make request; i want this site to be download as application. Thanks! Copyright © 2008 - 2019 Browser Based Network Ltd. All rights reserved.